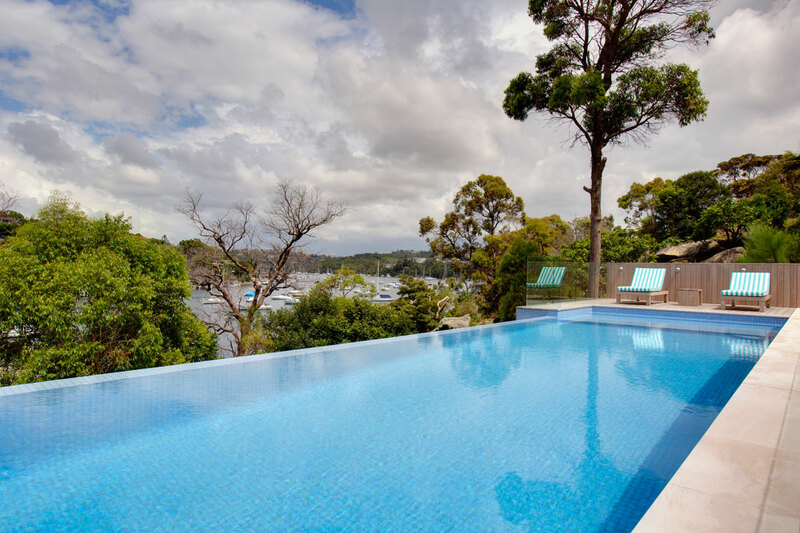 This pool is a real standout with its simple yet stylish design and beautiful harbour backdrop. 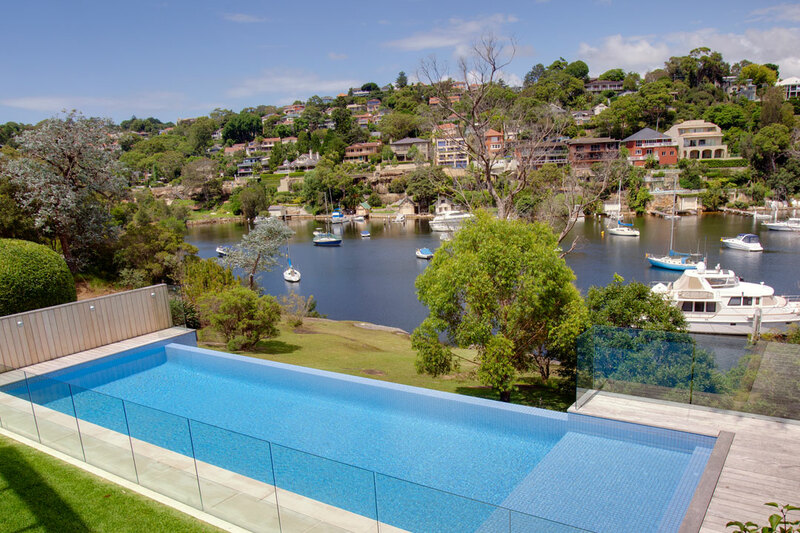 The owners of the picturesque waterfront property wanted a beautiful pool that would complement their newly renovated home. They also wanted a space that would be perfect for both entertaining and family fun. The sleek and modern design is aesthetically pleasing and inviting. The pool is also safe for children, as it features a large shallow step area that is ideal for adventurous kids. 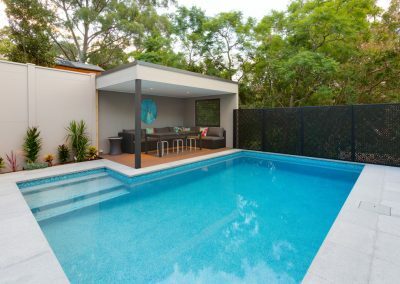 Measuring 12.9m x 4.2m, the fully tiled concrete pool has an eye-catching infinity edge, and is positioned to make sure there is still plenty of grass surrounding the pool area. The pool is fully equipped with solar heating, LED lights and frameless glass fencing to ensure the space is as functional as it is stylish. 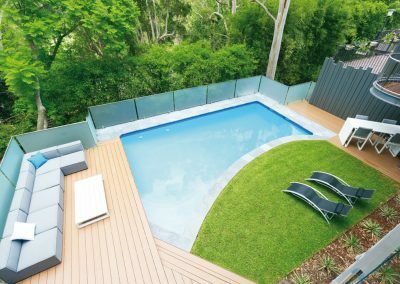 Aquastone Pools & Landscapes was established in 1996 by brothers Scott and Gavin Bazley. 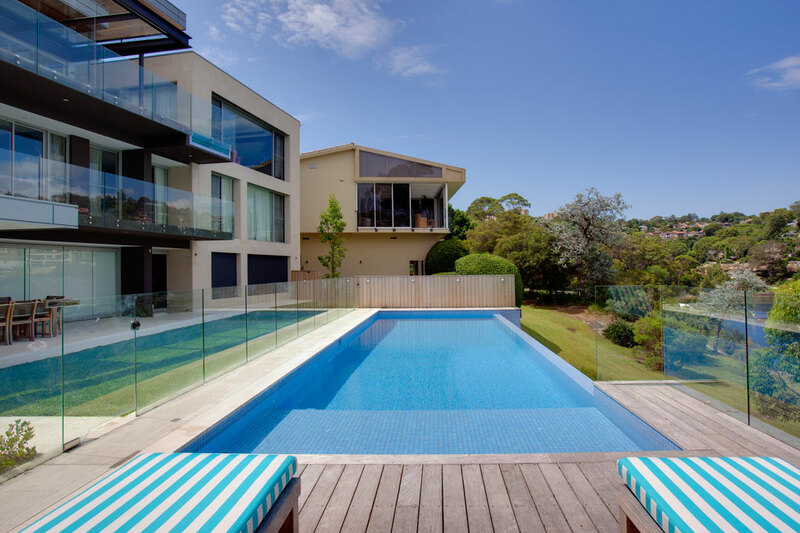 As well as new projects like the one pictured here, the company also completes renovations throughout Sydney. The team strives to deliver the very best quality outdoor living space for each and every client. 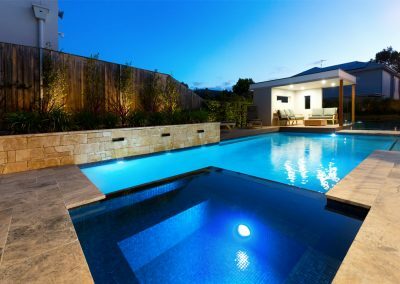 At Aquastone Pools & Landscapes, the person who sells you the pool is the person who will build your project. The team prides itself on going the extra mile to ensure your newly created outdoor living space is one that you will enjoy now and well into the future.